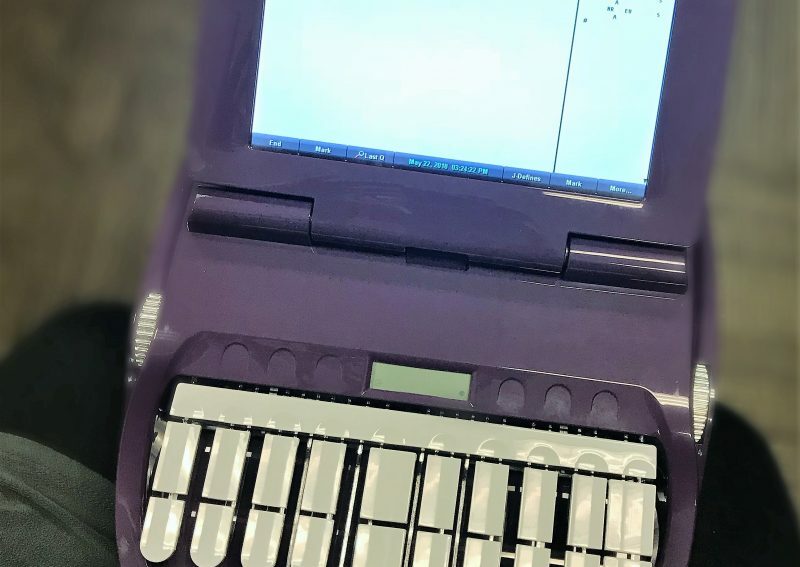 When the NCRA’s Discover Steno was released, we knew that we had to get involved and support the program in any way possible. We’ve created rental programs and donated machines to help potential students get a head start, but to take it a step further, we decided to send Alyssa Brummer, one of our newer contract sales reps, back to school! Alyssa has been with us for a little more than a year, and while she’s surrounded by our writers on a daily basis, she’s never had any exposure to shorthand or steno. That changed when she took her first online Discover Steno Course. Below, you’ll find Part 1 of Alyssa’s experience so far in the program… what she’s learning about the profession, the skills necessary to succeed, and more about herself! At this point, I had worked for Stenograph for a little over one year, spending most of my time on the phone with customers. While I’d been exposed to court reporters and received a brief orientation on all of our products, I had yet to actually open, touch, or write on a machine. I had no idea how it worked, nor all that it was capable of. On my first day, I sat down and just looked at my little writer. I considered how powerful it was and reflected on what an asset it can be in so many settings – the courtroom, home, classroom, museums, conferences – just about anywhere. When I finally decided to open it, I pushed the screen up, powered the writer on, and just began to play around with the keys until it was time for the live session to start. I was immediately intrigued by this new smooth feel – so much different than the clickety-clackety computer keyboard that I was used to. Luckily, our instructor had us start off with something simple – giving the class a chance to acclimate to this strange new keyboard and finger placement. We started with A, long A, and the number 5. Most reporters know what that means, but after hearing those initial instructions, my classmates and I were immediately lost. I just looked down and saw letterless keys! What was I doing??? Thankfully, once my instructor showed us the key chart, we all simmered down and got to work. We carried on with initial B and final B, then the letter C and asterisk, and then initial D and final D. It was a challenge at first, but once we did practice drills and communicated with one another, it was truly a rewarding first day. It really is like learning a new language… I can’t wait for my next session! As I’m becoming a little more familiar with steno, I’m learning that it’s best not to overthink. The ultimate goal is to let the words flow from your ears to your fingers without letting your mind get in the way. Easier said than done! As in life, if you keep focusing on mistakes, you don’t allow yourself enough time to progress; you’ve got to keep moving forward. Overthinking might be one of the biggest time wasters in the world, and this week’s lesson taught me that. There is something very liberating about being present, focusing on what’s before you and keeping your momentum. In steno, you have to trust your intuition and go with the flow. Eventually you get more and more comfortable and reach the speed levels necessary to progress to the next level. When you learn speed first and accuracy later, you have to let perfectionism take a back seat. It’s not easy to turn that little voice off, “wait – backspace – you missed a comma, you misspelled a word!” Learning that perfection comes with practice, and trusting the process is all part of the learning experience. Of course, I’m just getting started and have a long way to go. I’m still just learning where the keys are and am already pretty intimidated by the thought of key combinations. But, I do truly enjoy this challenge. 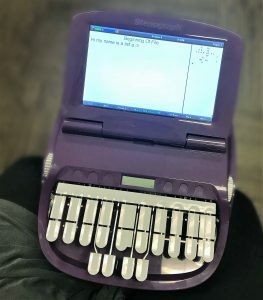 I’m learning so much about the customers we serve, the reason why they love their profession, and about the skills and qualities that I can build upon and take from this steno learning experience into the rest of my life.